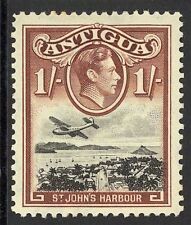 Antigua Lot of 5v Airplane Series Used Stamps. REMARKS : 2019 Stanley Gibbons CV GB£ 560 (300 200 42 18). 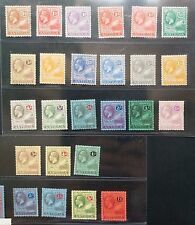 1938-51 Complete KGVI Set. Light gun toning. Get Supersized Images & Free Image Hosting. SG No.151. 2c green; Nelson's Dockyard. Cat Value £70. (as 100 singles). 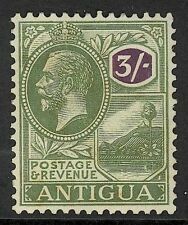 Antigua 1921-29 values to 1s (less 1d bright scarlet and 2 1/2d bright blue), SG 62-76 (less SG 65 and 71). Lightly mounted mint/mounted mint. Catalogue value £87 . British Honduras 1888-91 Issue VARIETIES Mint Hinged 2c. Surcharged Block 293984, . King George V "Keyplate" Issue. CROWN COLONY of BARBUDA. Stanley Gibbons Barbuda SG 11. BARBUDA 1922 Colony KGV. Five Shillings Green and Red. July 13, 1922. Yellow Wove Paper with "Crown and Multiple CA" Wtmk (W3). ANTIGUA THE CODRINGTON CORRESPONDENCE 1743-1851 BY ROBSON LOWE 1968 2ND EDITION (112) PAGE HARDBACK. COMMONWEALTH of ANTIGUA and BARBUDA. Stanley Gibbons Antigua and Barbuda SG 1016. ANTIGUA 1981-1990 Commonwealth PXTS TRTS. The PERFORATIONS NETWORK. Format International Security Printers Limited, London. 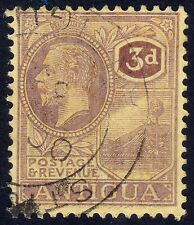 Antigua 1903 KEVII set complete MLH. SG 31-40. Sc 21-30. Antigua 1903 KEVII set complete mint lightly hinged. Gibbons # 31-40. Scott # 21-30. British Honduras 1888-91 Issue VARIETIES Fine Mint Hinged 2c. Surcharged 293980, . Antigua 1935 KGV Silver Jubilee 1s DOT BY FLAGSTAFF variety MLH. SG 94h. Antigua 1935 KGV Silver Jubilee 1s slate & purple. A very fine mint copy showing the DOT BY FLAGSTAFF variety. Row 8/4 Plate 4. Gibbons # 94h. 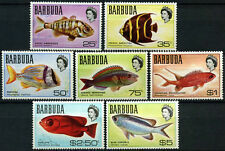 Barbuda, Sc #384a, MNH, 1979, S/S, Sir Rowland Hill. Cyl # 1B, 1B, 1B, 1B. British Sterling Cheques. 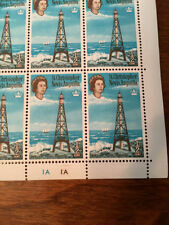 1935 Jubilee set of 4 SG91-94. 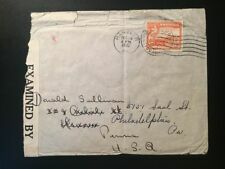 Year of issue: 1935. Fine Lightly Mtd Mint. Condition: Lightly Hinged. Grade: Fine. Occasionally we all make mistakes, and if we do we fix it. Price: £10.00. Era: King George V (1910-1936). SG89 2s6d claret - lightly mounted mint £55. Goods will be dispatched upon clearance of funds.